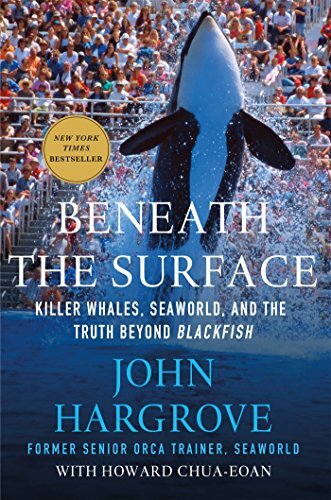 John Hargrove was an orca trainer for 14 years, where he transitioned from die-hard SeaWorld employee to an advocate questioning every aspect of orcas in captivity, and this is his true-life story. John truly spoke only from his experience. He gave the facts based on his observations and his knowledge while an orca trainer, including coverage of the SeaWorld artificial insemination program, calfs forcibly removed from mothers, withholding food, small pools, and improper foresight into orca's social structure. His love for the orcas shines through the entire book, where he details the relationships he built with them. It's inspiring to hear how intelligent and social these whales are. There's a dark side of captive orcas, though, which I thank John for sharing with the world. Everyone needs to hear it. There were a few typographical errors, but other than that, I really have nothing to say negative about this book. I'm not sure how to properly put into words how much John's story moved me. Before I saw the Blackfish documentary and read Beneath the Surface, I had little knowledge of orca behavior, social structure and intelligence. I also had little knowledge of the orca's conditions at SeaWorld. I was aware that they put on a "circus-like" show, because I had visited SeaWorld as a child once or twice. Now that I have been exposed to the behind-the-scenes truth, there is no going back, emotionally or physically. Once you read this book, the glamourous veil will be lifted. You will see the exploitation of both the orcas and the trainers. It may move you in ways you didn't know existed.